Over the last 20 years, Irish animation has been going ó neart go neart and this has been in much part thanks to the work of one of our oldest and most prominent animation studios, Cartoon Saloon. This studio has worked on TV shows, three feature films and a multitude of short films becoming part of the backbone of Irish filmmaking. Despite three back-to-back Oscar nominations, it still feels like this studio doesn’t get the full appreciation it deserves, so in this article I will attempt to give some well-deserved recognition to this saloon of cartoons. Founded in 1999 by the newly graduated trio of Tomm Moore, Paul Young and Nora Twomey, Cartoon Saloon found its first home with Young Irish Filmmakers in Kilkenny who gave them a small space to start their work. They began their careers by working on advertisements and as Tomm Moore said in a 2016 interview with Rodrigo Flamenco, they “prided themselves on working in a variety of different styles.” It was also here that the studio began the decade of work put towards their first feature film, The Secret of Kells. Now nearly twenty years later, still based in Kilkenny, they continue to innovate and further the art and business of animation in Ireland. Perhaps it is through The Secret of Kells that Cartoon Saloon first began to find their audience. Released in 2009, the film showcases the voice talent of Brendan Gleeson and gives a fantastical imagining of how the titular book was created. This film is a celebration of the myth and the history surrounding the book, and this is shown to us multiple times through the beautiful and inventive art style. The animation of this film slips between the traditional 2D animation and more impressionistic styles with ease, yet still manages to bring the audience through a snappy plot with plenty of emotion. Drawing again from Irish mythology, 2014’s Song of the Sea, sought to link past and present Ireland while telling a fiercely personal and emotional story of a brother and sister returning with their father. Once again Brendan Gleeson brings a depth of emotion to the role of the father in the film, but the acting talents of the two main characters, Ben and Saoirse, portrayed by David Rawle and Lucy O’Connell are to be commended for bringing a youthful enthusiasm to the project. In the five-year gap since Kells it is clear to see the leaps and bounds Cartoon Saloon has made with animation. The animation here is much smoother and the backgrounds are more detailed, while keeping with the Cartoon Saloon aesthetic central. In their most recent outing of The Breadwinner, Nora Twomey directs a movie slightly further afield than Ireland, and situates itself instead in Afghanistan under Taliban control. Based on the graphic novel by Canadian author Deborah Ellis, The Breadwinner follows 11-year-old Parvana as she must disguise herself as a boy, to become the ‘breadwinner’ and care for her family after her father’s imprisonment. Despite being known for the involvement of Angelina Jolie as a producer, this film stands on its own two feet through the powerful story, enticing art style and the talent of the voice cast. Cartoon Saloon does not restrict themselves to only feature films, they also produce many short films and tv shows, with Puffin Rock being the most recent series. In fact, this year was the first time that Cartoon Saloon has been nominated for an Academy Award for best animated short with Louise Bagnall and Nuria González Blanco’s short Late Afternoon. This short is a beautiful, melancholic but ultimately uplifting film about a woman living with dementia. The art style is often reminiscent of water colours, and the fluid movement of colour serves as a fantastic visual representation of the movement of memories. It is also in these short films that Cartoon Saloon explore slightly more serious themes that might not lend themselves to a ninety-minute run time. Two examples of this would be Old Fangs and Somewhere Down the Line. Both beautiful shorts with unique approaches to the medium of animation, but also two shorts that deal with the more complex theme of difficult family relationships. Cartoon Saloon’s dedication to the Irish language and culture is also something that should be applauded. They’ve made a point to release all their feature films with an Irish language version, and some of their other work is presented completely through Irish, such as the short film Cúilín Dualach, and the animations for the music themed TG4 series Cúl an Tí. 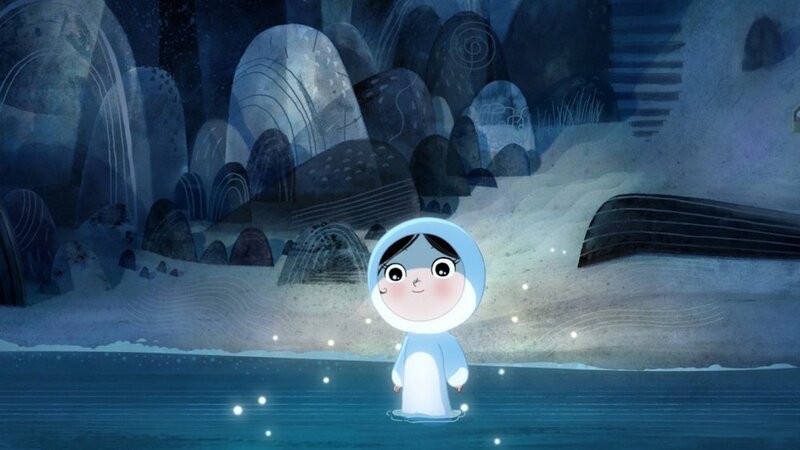 Traditional music is also a thread that runs through Cartoon Saloon’s other works, as over the years they have worked closely with the Irish band Kila for the music of two of their feature films, Song of The Sea and The Secret of Kells. Both films also feature songs sung as Gaeilge being central to the plot, with Aisling’s Pangur Bán song, and the titular Song of the Sea. This brings an authenticity to their films that must be admired, along with showcasing the language to a wider international audience. 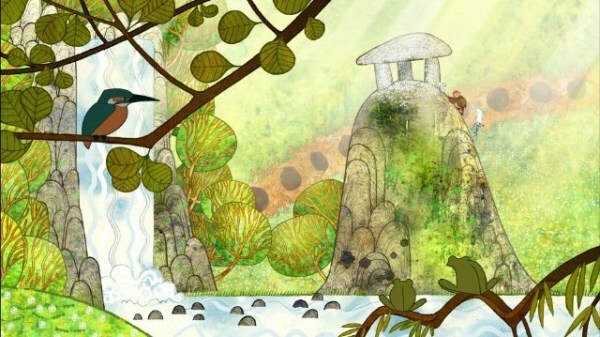 All in all, the future's looking bright for Cartoon Saloon with two new feature films in development, My Father’s Dragon which is being produced in part with Netflix and set for release in 2021, and Wolfwalkers, which doesn’t have a release date but the teaser trailer does give us a promising sneak peak of the animated delight we’re in store for. This partnership with Netflix shows that Cartoon Saloon are ready and willing to adapt with the times and keep 2D animation relevant in an age where animation quality is often equated with how lifelike the CGI is. In conclusion, Cartoon Saloon shows dedication to the craft of storytelling and the craft of animation, and despite only being 20 years old, has left a lasting impact on the field of animation.